Objectives: Visual textures are created by repeating the elements of art, this repetition is called pattern. Patterns add interest and visual excitement by adding variety. Patterns also create visual rhythm and movement to a piece of art. 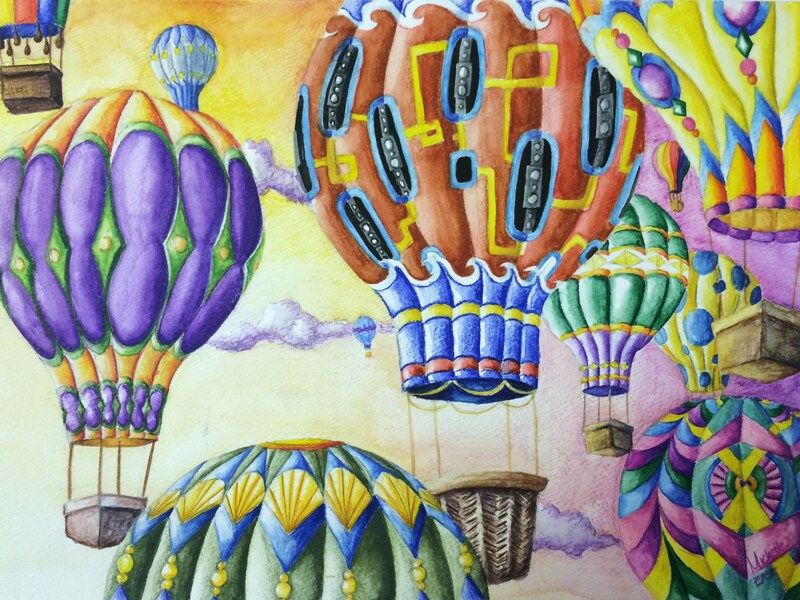 Look at examples of hot air balloon photographs or paintings. 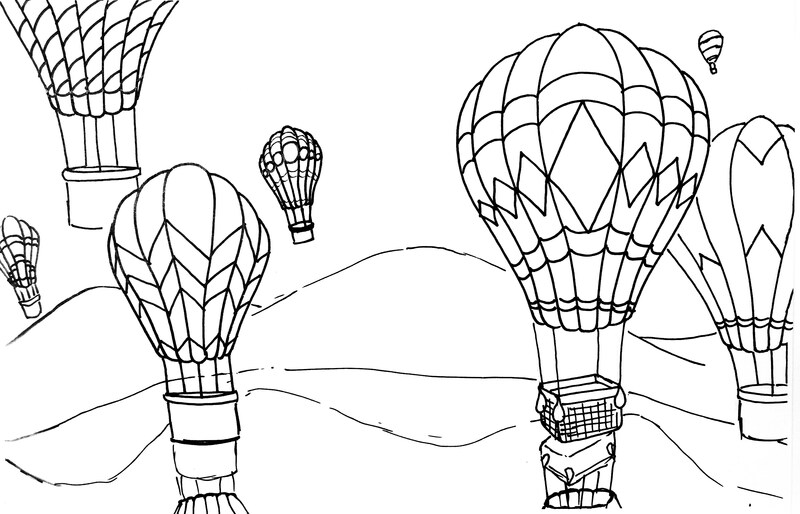 Look at different patterns on hot air balloons. Discuss composition, size & balloon placement. 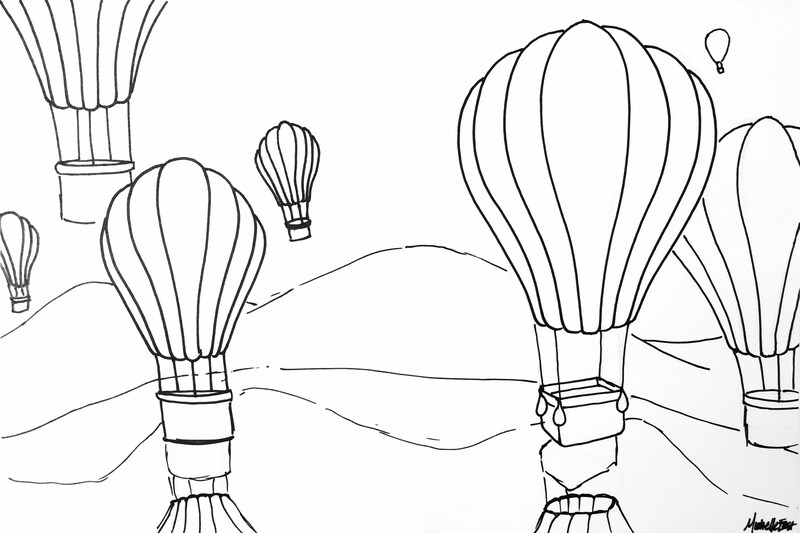 Practice drawing hot air balloons. Demo how to draw patterns on a curved surface. Begin drawing composition. DAY 5-12: Continue Watercolor Pencil or Watercolor Painting: Students should continue painting until completion. 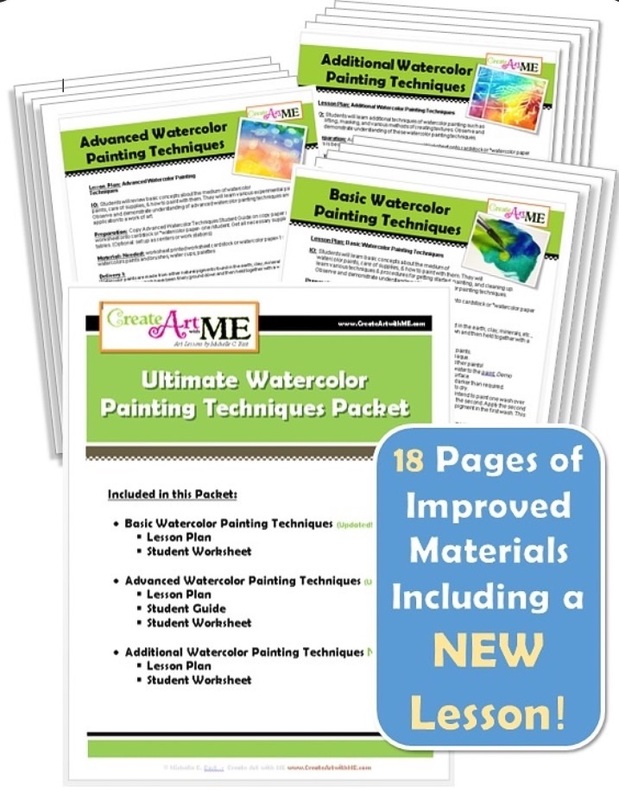 Teacher will address technique difficulties or instructional clarifications as needed. How many days did it take for your students to do this project? What watercolor pencils do you recommend? How many did you need for your class to share? And to get the details, I would need to purchase the “Beach Umbrella” lesson? Thanks! I see now where you post how many days, but I would appreciate some direction on supplies. Thanks! Hi Kristin, We are using Crayola Brand Watercolor Pencils (24 ct) & I am very happy with the results. We have also used Kimberly brand as well and I like the color variety in these sets. The example that is on the blog was done mostly with Crayola Watercolor Pencils-so you can see the vibrant colors! I have one set for every 2 students. ALL the details plus the patterns worksheets and Watercolor Pencils worksheet is included in the Beach Umbrella lesson. Please let me know if you have any other questions.